The only one of its kind. The elusive carbon Phantom. Despite almost vomiting my breakfast at least three times, I got third, and couldn't feel my fingers. I quickly changed into my biking kit and met up with the Staffords (my support family for the next two days). I got some water in me and a little bit of food then headed straight to the starting line of the Cross Country Mountain Bike Race. I entered into the Elite division despite never doing a XC Mtb race. This race was going to be the pinnacle of my weekend. I immediately felt out of place at the starting line. Everyone was wearing clip pedals and spandex. I had flat shoes and baggy shorts on, with an Osprey pack. As soon as the race started, I was passed in a cloud of dust like I was standing still on my bike. What the course looked like, we had to do it twice. I have never, in my life, felt so beat down while riding a bike. Going up the Vail mountain, starting at 7200 feet going up 2000 feet of elevation before going down some steep-ish trails through aspen groves. I knew I was in contention for literally, dead last place. As I passed the line to start on my second lap, I realized it had taken me over an hour to do my first lap. This race was going to be way longer than I thought. I ended up having to walk up some stuff, even on the road, on my second lap. The sun was beating down on me and I was physically crashing, hard. I just kept one foot (pedal) going in front of the other. I felt like I was melting and was trying so hard to control my breath. At one point, I was going so slow, one of the support staff walked up behind me and pushed me for like five feet. I finally made it to the top and knew going down was going to be just as hard. I really didn’t want to crash my bike so I was concentrating hard. Every muscle in my body was telling me I needed food and I was starting to feel pretty worn down. I was also getting passed by the pros at this point (they were doing three laps), that added to my stress of not going fast. I came down a steep section and then a nice straight away. I let my guard down for one second and I suddenly was catapulting over my handlebars straight off of the trail and into some prickly bushes. My bluetooth headset went quiet and I laid in the bushes on my back, trying to regain myself. I sat up, took my backpack off, and ate a snack. Meanwhile, all the pro men were passing me (not even noticing the small woman in the bushes). I got up after a few minutes and got back onto the bike, super apprehensive now but at least I had some fuel in me. I finished the race in 10th place, there were two other women behind me. One who didn’t finish due to a crash and the other who only did one lap. The Staffords met me at the finish line and I tried to eat some food but I wasn’t feeling super good. I had definately screwed my body by not feeding it correctly and I was feeling the consequences. My neck was also not feeling the best. 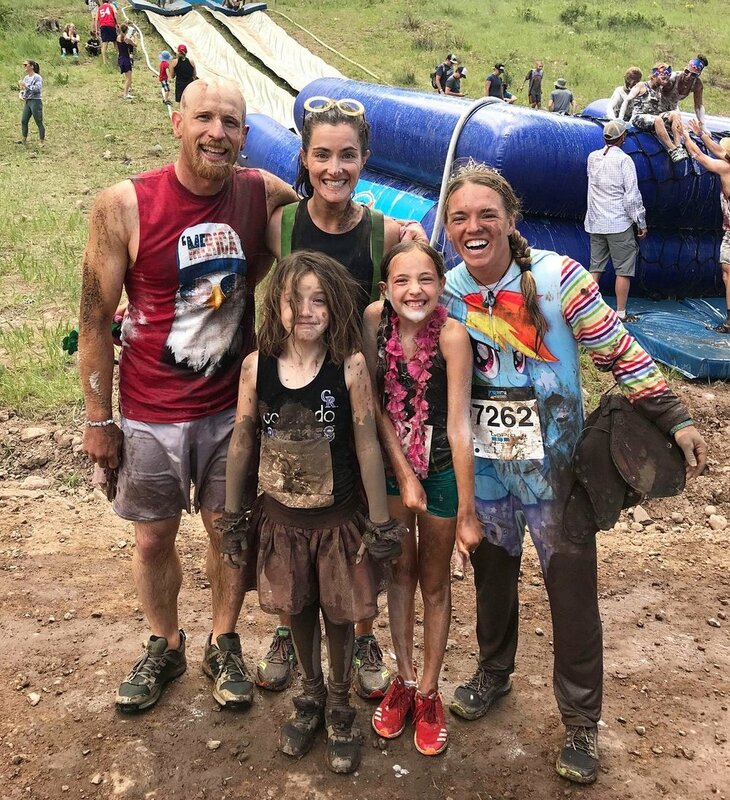 I choked down a quarter of a burrito and got ready for the family mud run with the four of them. It was a fun course with a water slide at the end. Despite not feeling super well, the Staffords kept me going and smiling. Despite having done the downriver sprint, the XC Mtb race, and the family mud run, I still had to compete in the freestyle finals at the end of the day. To say the least, I did not compete my best. I couldn't stay in the hole and I really didn't want to hit my head again. I was seeing stars almost the whole competition and I had absolutely no energy left. I, somehow, got 4th place and finished the day so ragged out. I had one more day but Saturday (the hardest day) was over and I was still alive, for now.